The evil eye traditionally wards off evil. 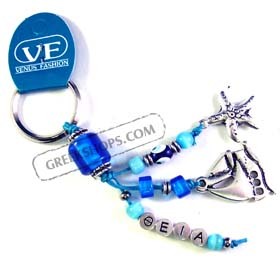 This silver keychain is decorated with a small evil eye and colorful turquoise and silver beads. About 3" in length.